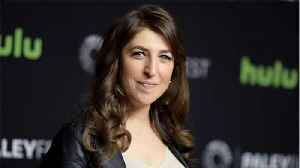 It appears that the women of “The Big Bang Theory” have been captured in a big-time frame-up. 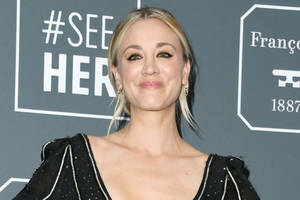 Series star Kaley Cuoco graced fans with a behind-the-scenes look at the CBS sitcom on Thursday, showcasing a photo depicting herself, along with her co-stars Mayim Bialik and Melissa Rauch wearing very prominent glasses. The image prompted an array of responses in the comments section. “I always thought it would’ve been hilarious if you guys did a Bizaro [sic] episode where you were the nerd and the guys were cool,” one fan wrote. 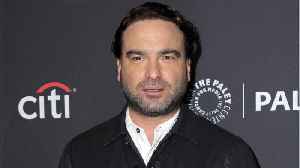 Another fan lamented that the series is preparing to wrap up its run with its current 12th and final season. “Such a shame the show is coming to an end! What needs to happen to keep it going?” the fan asked. And then there was, “Any thoughts on what’s happening at Santa Anita?” Which was apparently a query to horse-lover Cuoco about the recent spate of horse deaths at Santa Anita Park in Southern California. With just a few weeks until the series signs off with a special one-hour finale on May 16th, we spoke with the cast about some of their favorite moments and guest stars in this nostalgic look back..
Kaley Cuoco failed to hold back her tears as she took part in a table read for the final episode of ‘The Big Bang Theory’. Kaley Cuoco has admitted she was in floods of tears at the final 'Big Bang Theory' table read. Koothrappali is worried people won't take him seriously in his own field after publishing a paper that suggests he may have discovered alien life. 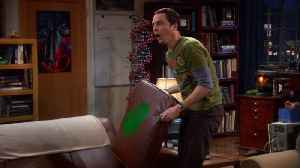 Also, Leonard wants to be the principal investigator..
'The Big Bang Theory' is quickly approaching its end. Actors who have been with the show for a decade are saying goodbye to the set, to the dressing rooms, and soon will say goodbye to their beloved..
An all-new episode of 'The Big Bang Theory' premieres tonight as the series' May 16th series finale draws closer.